You need to log in to upload a replay. M26 Pershing Ace tanker, good game!!! You have to give a name! Select a .wotreplay file, please! Only .wotreplay extension can be uploaded! The replay is corrupted or you didn't wait for the end of the battle. You can only upload replays from the 0.9.21 version. 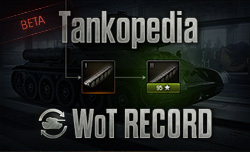 World of Tanks, the related pictures and sounds are the copyrighted properties of Wargaming.net.